Metal Stainless steel countertops provide a very modern, sleek kitchen. Stainless does not rust or stain, and is heat resistant. 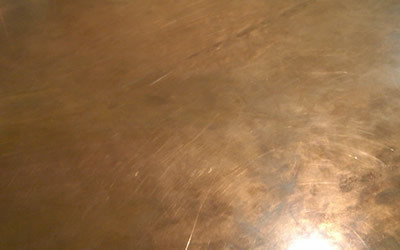 Copper countertops are known for their antimicrobial properties even after tarnishing and developing a patina. 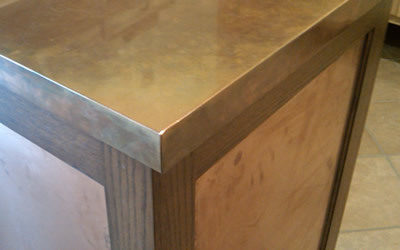 Overall, metal countertops scratch more easily, and show fingerprints, but over time minor abrasions become part of the patina. Move over granite countertops, there’s a new player in town in the form of stainless steel counters. There’s a good reason why stainless is used in most of the restaurants across the country: it’s virtually indestructible. Now homeowners can receive all of the benefits that come with them in the convenience of their own home. Of course, as with anything else, stainless steel countertops do have benefits. offers a distinctive feel and look that blends perfectly into modern contemporary kitchens. When you need something sleek with a shiny modern look to it, look no further than stainless countertops.